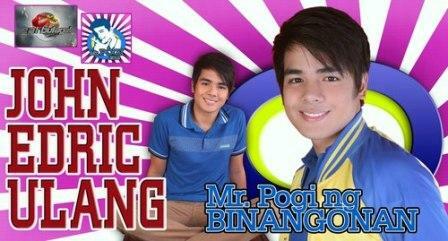 The cute guy from Binangonan, Rizal, John Edric Ulang was hailed as Mr. Pogi 2012! 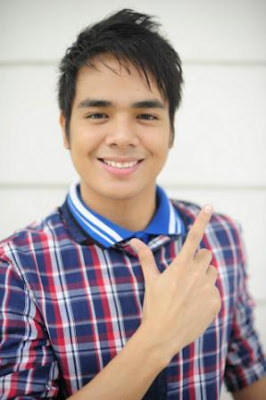 He snatched the title from other contestants during the grand finals on Eat Bulaga just this Saturday afternoon, September 15, 2012. Mr. Pogi 1996 Jericho Rosales handed the trophy and a check worth P200,000.00 plus sponsors’ prizes to John Edric Ulang, the winner of Eat Bulaga!’s annual search for the next TV heartthrob. Jericho is also one of the judges. Aside from him, the judging panel also consists of Raymond Gutierrez, Alfie Lorenzo, Marian Rivera, Regine Velaquez, and Aga Muhlach.